Following some promotional appearances for the film, Nina Dobrev was also on the green carpet yesterday(August 5th) for the premiere of 'Dog Days' at The Atrium in Santa Monica, CA. 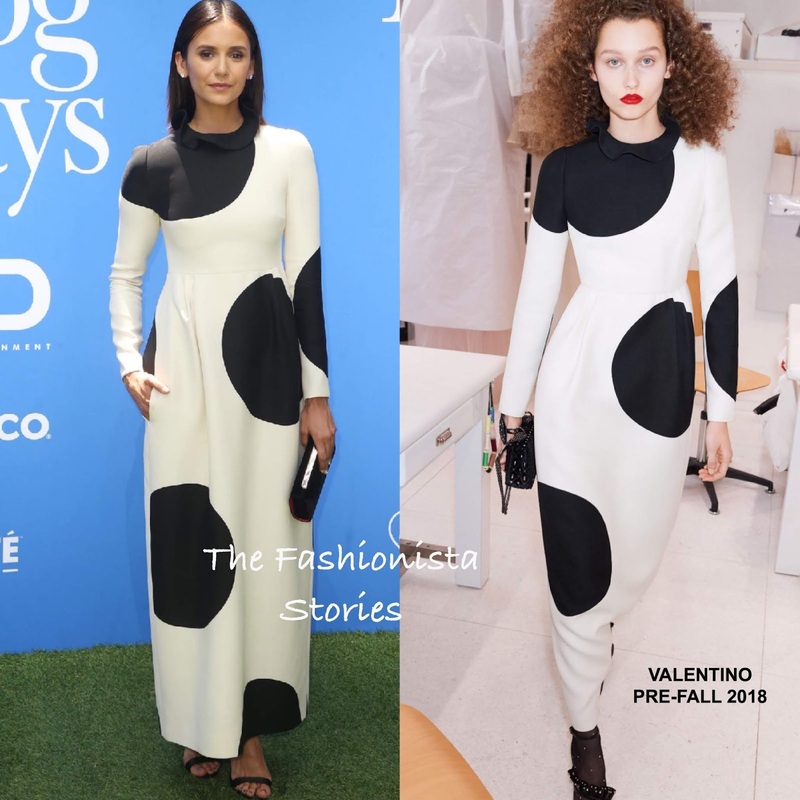 Surprisingly ditching her signature pose, she stepped out in a VALENTINO PRE-FALL 2018 long sleeve white & black polka dot, ankle length dress, featuring a ruffle neckline and side pockets which she utilized. The only thing that I feel I am missing here, is a red lip because her pink lip doesn't pop. Other than that, I thought she looked great. Straight behind-the-ear tresses and a black clutch & sandals finished up her look.